Here is a quick project I did this morning. I made this table with a discarded table base, and a left over table top. I found this table base, about to be tossed, at a garage sale. It's been sitting in my garage, and I thought it was time to make a table out of it. 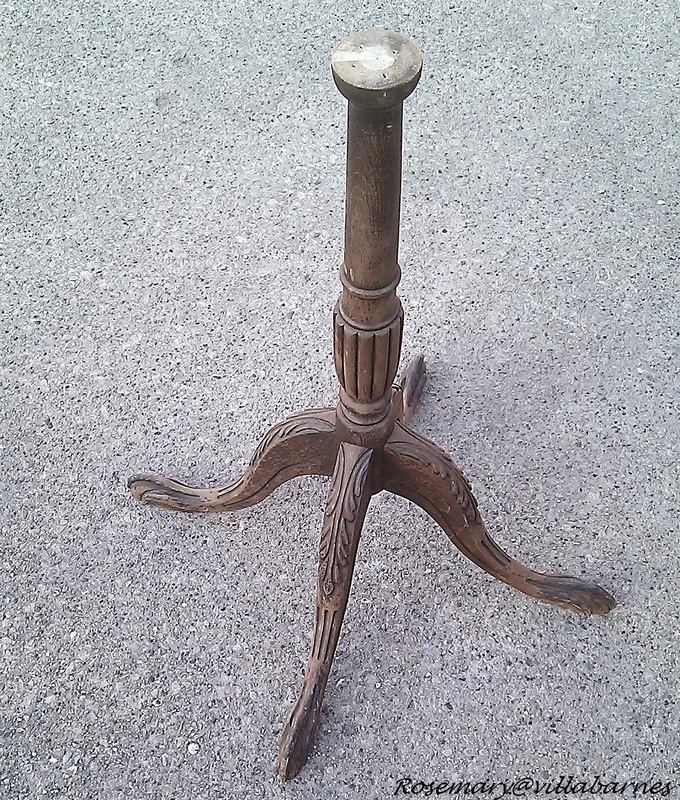 In my "Evil Cherub" post, I replaced the table top below with a smaller one. I knew I would eventually use it. They made a good match. 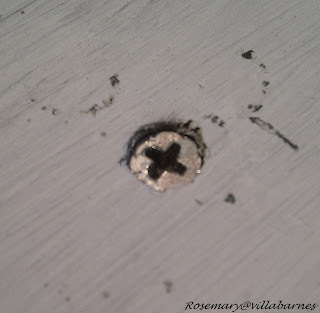 After applying glue to the base top, I used my power drill to countersink a screw right through the top of the table, and into the middle of the base. 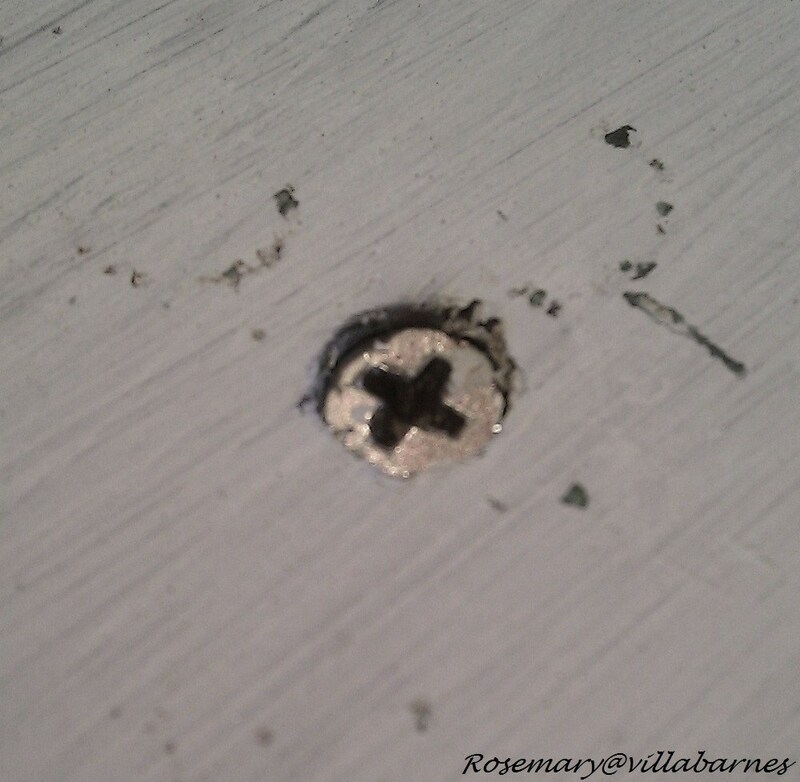 I made sure the screw went just below the surface of the tabletop. 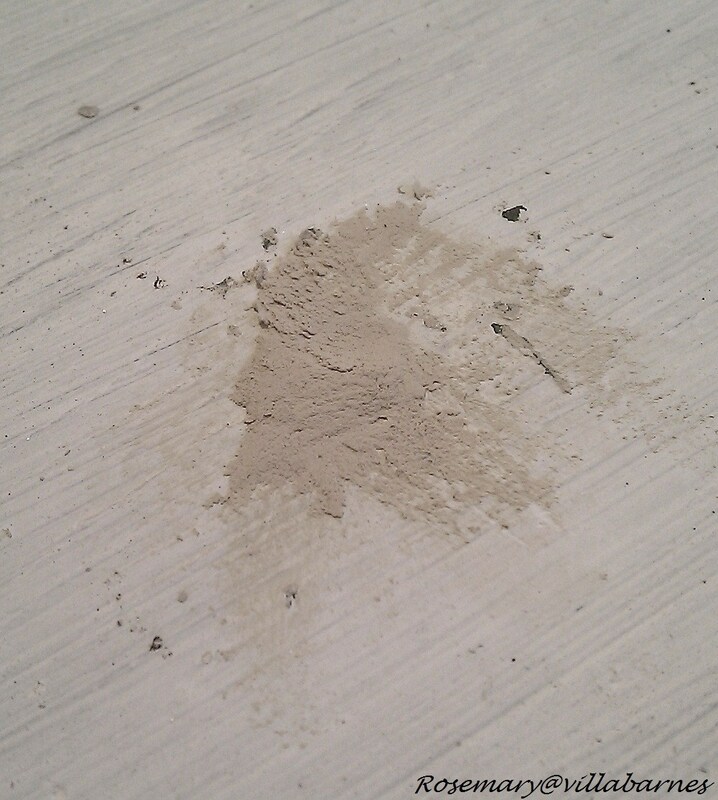 and sanded it smooth. 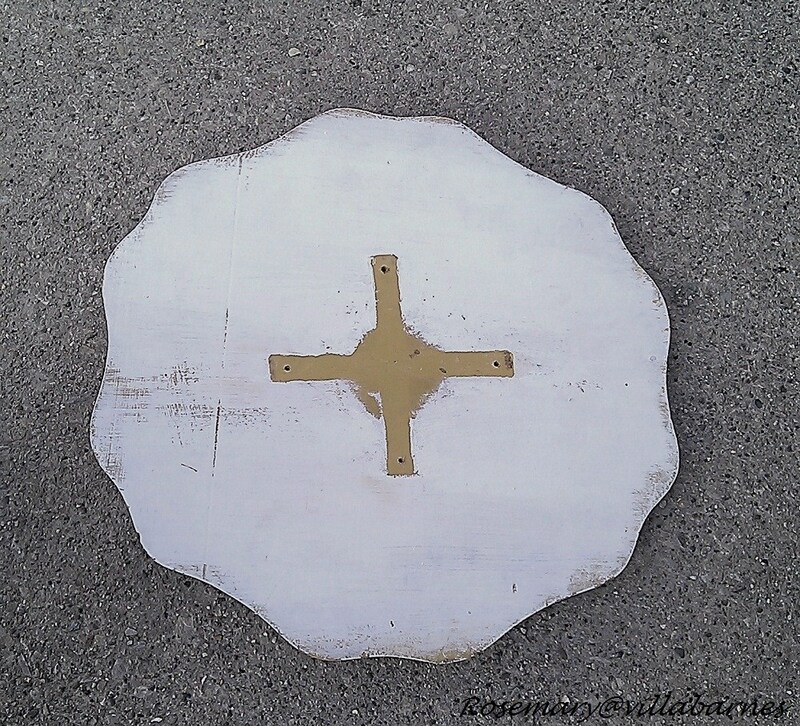 After giving it a grey base coat, I applied multiple layers of white gesso. Your table is proof that it pays to not throw parts away. Rosemary, you little magical being you!!! I want to spend an afternoon with you painting away and creating!! Don't you just love making something out of nothing!!!!???? Thanks for sharing the magic. i am always saving parts! you just never know! this table is sweet and simple and the perfect parts combined! Wow, love the table! I agree with Penny, they were meant to be together! I love your creations, Rosemary! So much talent! Whistle ~ Whistle...those are some great legs! You make me want to redo my entire decorating scheme (which would most assuredly result in my death at the hands of my husband, but oh well). I love this table and the setting you placed it in. I like it too! I can't believe that it didn't already come that way. I would never know that you actually made that. I love little tables like that. I love it, Rosemary! The top is such a great shape! Amazing how that worked out with the base. Fresh! I need to do the gesso thing on a couple of these which I have had forever and a day. They look a bit too "naturally" distressed! I like it too, its gorgeous. 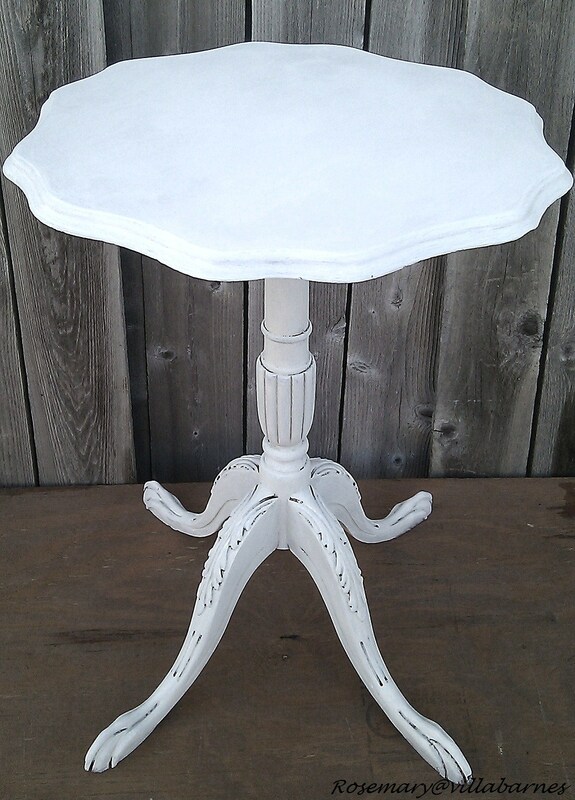 I just love little white pedestal tables and yours is adorable. Can't believe you just whipped up this project...it would take me days! Great job! Looks great--love that little table! it's a perfect fit!! and such a pretty little piece too!! 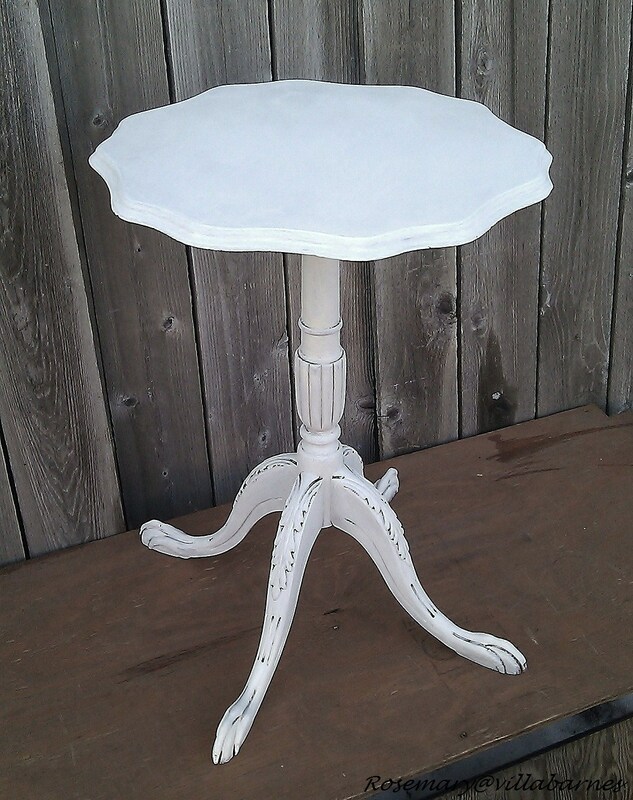 It is beautiful, such a sweet little occasional table! Congrats on your over 1000+ followers!! Good for you Rosemary!! You do things up just right! You go girl! You can work some magic on some junk! Voila! Just like that a new table. Nice job. You make things seem so easy. I have a hard time taking the lid off a paint can! Haha! Beautiful result you got! Lovely! These two pieces were made for each other. I would have never guessed that they were two separate pieces put together to make one. Lovely! Very clever and a great way to recycle. Love it! 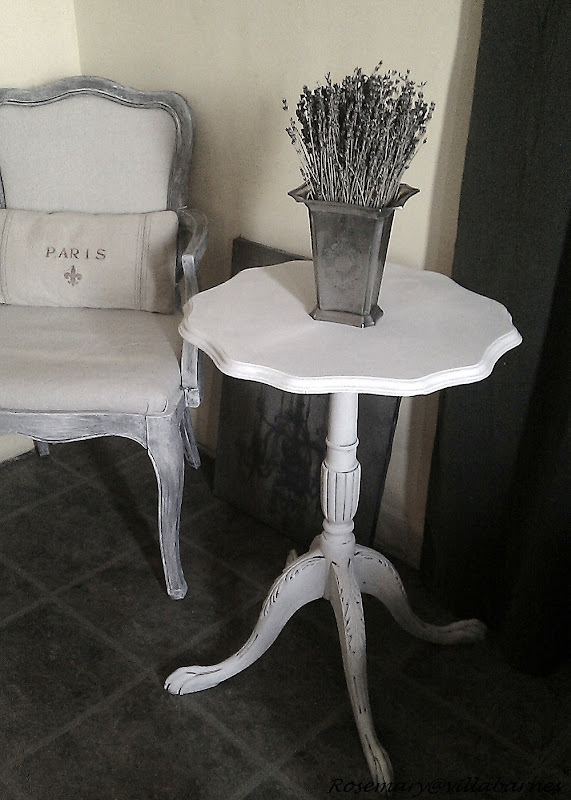 I love your style Rosemary...such a sweet little accent table you created...love it! I suppose it is true that one man's trash is another women's treasure!!! I like it, too, Rosemary. It turned out so pretty, and I like the pretty vase you have on it, too! Your little table is beautiful, I love it's simplicity and beauty. 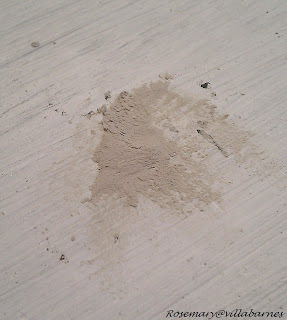 Thank you for the info on Gesso. I would say that was beyond a good match...more like a perfect match! You are so talented, you never cease to amaze!!! How pretty and so great that you were able to use two pieces that otherwise would have been tossed by someone less creative than yourself! So you just hopped up and whipped out this gorgeous beauty this morning, huh? You are so amazing! Your photos are really awesome too you know. That last shot of the little chair with pillow scene looks like something that you could put on a canvas and put on the wall. Thanks for sharing at our Link It Up Thursday party. I LOVE this! I would love if you would share this at the Crazy Cute link party happening at Between U & Me right now! I've got a totally awesome giveaway this week, too! 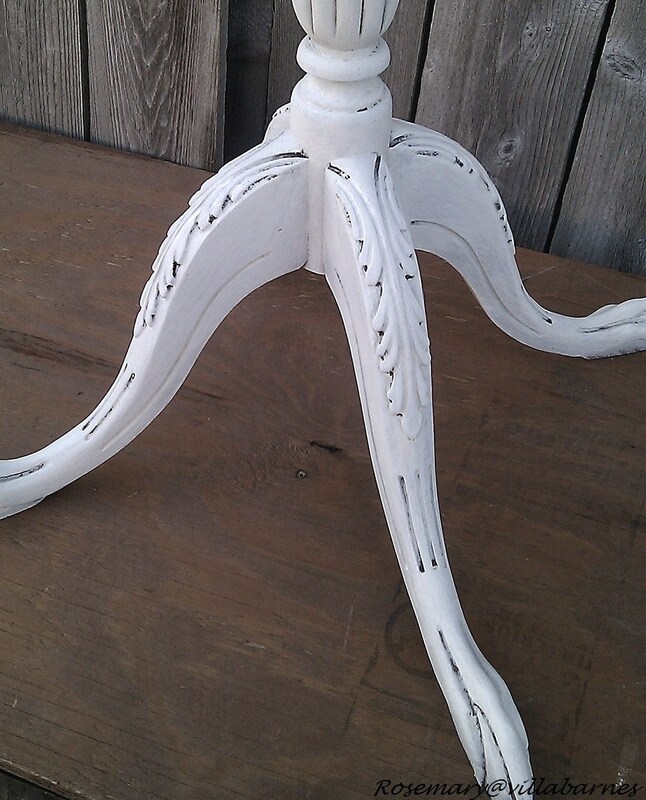 That is such a pretty table...love the way you rubbed it off! I think I already told ya I love it but in case not love it and thanx for coming to the party! Once again, I love it! Can I move in with you?